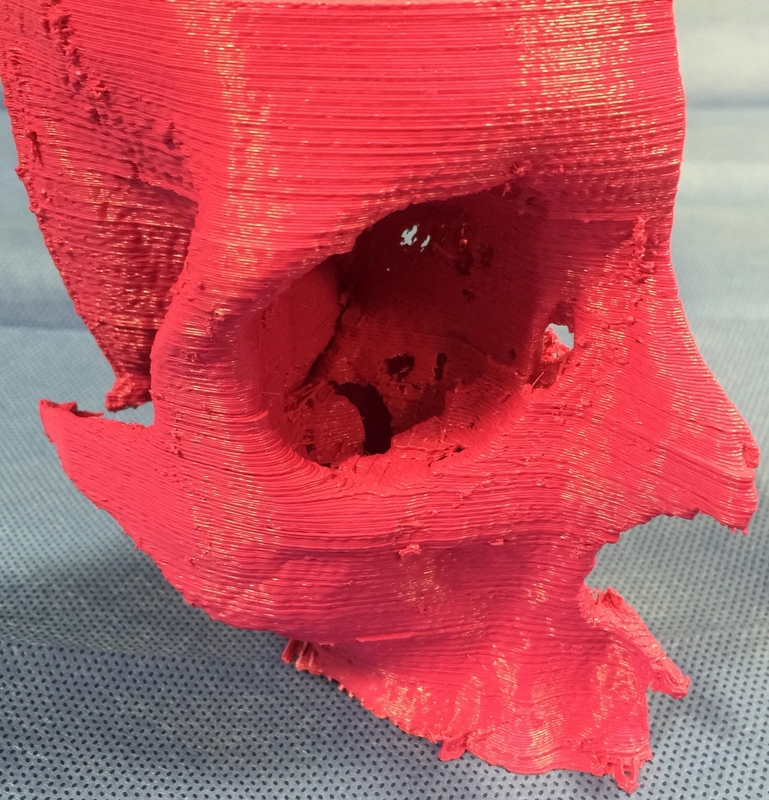 The aim of this study was to explore the efficiency and usefulness of tridimensional printing in plastic and reconstructive surgery for lesions of the maxillofacial region. This was comparison study between two groups of patients. Six patients underwent surgical reconstruction, using a three-dimensional model built on the basis of CT scans (group 1); and six patients underwent surgical reconstruction, without the use of a three-dimensional model (group 2). The following variables were evaluated: age, gender, histological diagnosis, cancer location, size of bone lesion, type of reconstruction, complications and surgical timing. A statistically significant difference was found in microsurgical flap survival (p = 0.019), with a survival rate higher in group 1 than in the controls. This study provides preliminary evidence and partially confirms the validity of three-dimensional technology in plastic and reconstructive surgery. The results so far obtained, however, lead to hope for future uses of this ever-increasing technique. Luigi Di Rosa et al.